Ever tasted a strawberry, banana and mango ice cream with bat sprinkles covered in eyeball, dead fish and worm toppings? We don’t recommend it in real life, but when it’s an app, the more revolting the better. 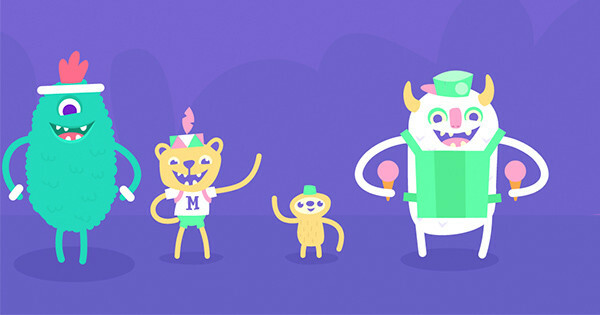 Moppa Ice Cream is a quirky digital adventure that fuels kids imaginations and creativity. It is aimed at two to five-year-olds and is available on both iOS and Android devices. Set in Moppa Park, the aim of this game is to help Mr Yetti Bombetti create ice creams worthy of the hungry monsters lining up outside his ice cream truck. These are no ordinary ice creams though, you need to choose a monster style container (who uses a cone when you can use a smelly old shoe! ), monster flavoured ice cream and then as many sweet and sickening toppings as you can fit on top – eyeballs and spiders anyone? The options and combinations are endless, making for lots of return visits to this most unique ice cream van. My boys (aged two and three) were quickly able to navigate their way around this app and were excited to share with me the gallery of photos showing off their creations. I loved the added bonus of the storybook you can click on from the home page. It really helped to set the scene and get my boys’ imaginations firing before letting them loose inside the truck to come up with some truly revolting ice cream combinations. The perfect entry point for little ones to learn about technology, Moppa Ice Cream uses large buttons, simple layouts, an old school soundtrack and quirky, engaging graphics. This is the first app created by Jop and Graham at fun-loving company, Moppadop. The co-owners have over 20 years experience creating apps, games and websites for kids and teens so I’m sure we will see a lot more from these Moppa Land characters in the years to come. Moppa Ice Cream is available through the App Store and Google Play for $1.29.